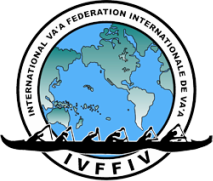 The rules and regulations of the IVF are the Sprints Race Rules, the Marathon - Distance Race Rules, the Anti-Doping Control Regulations and the Para Va’a Race and Classification Rules. Since the first World Sprints Championship the IVF World Sprints Race Rules have continuously been reviewed and adapted to the development of the va’a sport, taking into account technical evolution (such as measurement instruments) and the evolution of sport in general (including, among others, issues such as doping). Over the years, anti-doping regulations, marathon race rules and race and classification rules for Para Va’a have been developed by the IVF in order to put in place a comprehensive regulation system for the va’a sport.